One reason I began A Cake Bakes was to discover delicious and unusual recipes from the past that for reasons unknown didn't make it to the 21st century. 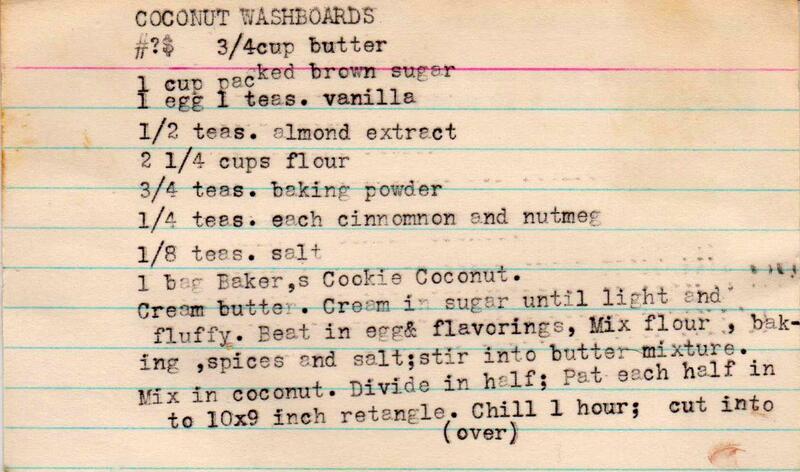 Coconut Washboards are that -- and true rock stars among cookies. These are very yummy and so easy to make. They are shaped like old-fashioned washboards and a fork is used to add the grooves, completing the look, A little internet research into these gems revealed that they were meant to suggest that hard work (i.e., scrubbing clothes by hand) makes for a sweet reward. I baked these for our friend Alec, who joined us to watch the second presidential debate. I figured that we could all use a little old-fashioned sweetness to counter the bitterness (and craziness) that's overtaken our nation. 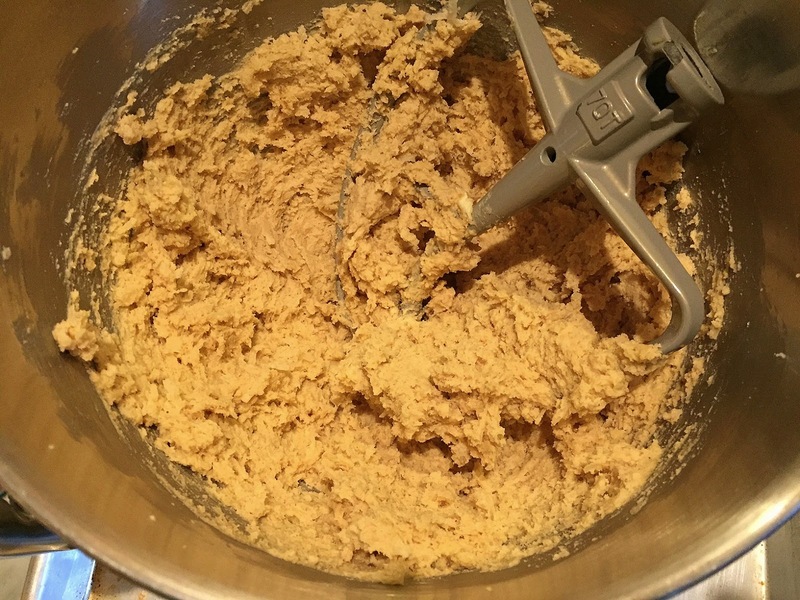 Start by beating the butter and brown sugar, then adding the egg, vanilla and almond extract. Combine well and add the coconut and flour, mixing it all together. With a sharp knife, cut into "washboards." With a fork dipped in flour, create the washboard grooves. I needed to coat the fork continuously so it didn't stick. A bit of flour on the cookies didn't make a difference after baking. 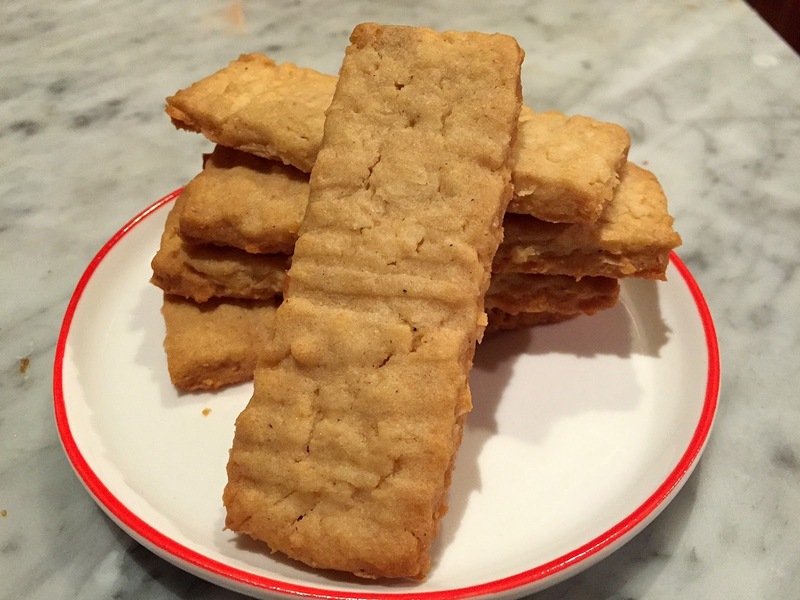 These took me longer than the ten minutes suggested in the recipe. But at the end, the tops were a light golden brown, with the bottoms a slightly darker shade. 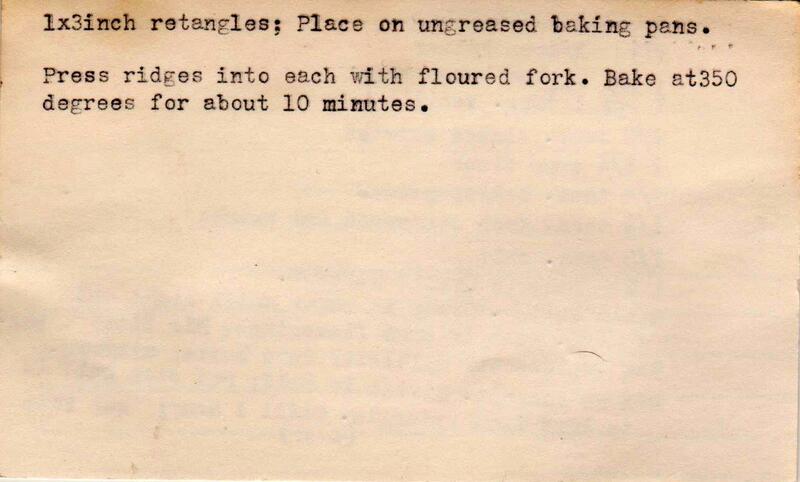 Production notes: I followed this recipe almost exactly, but have written out the method I used below. 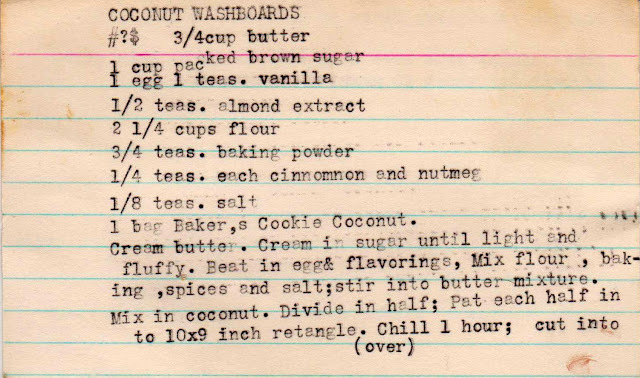 Not sure of the size of a bag of Baker's Cookie Coconut when this recipe was written (in the 1940s), so I used the 7 ounce bad of sweetened coconut available today. I also could not achieve a 10 x 13 inch rectangle. You can just gather the scraps and roll out again. 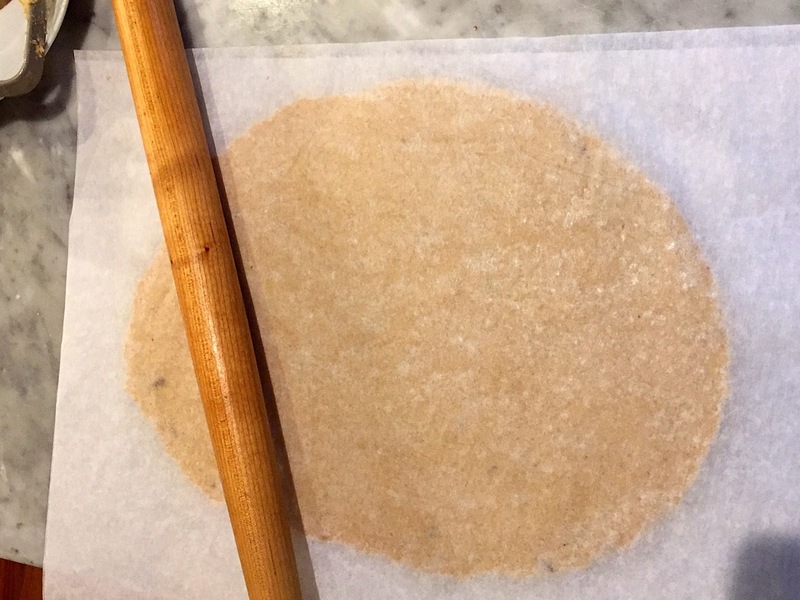 If you want the washboard grooves to be more prominent, you will need to process the shredded coconut so that the dough is really smooth. 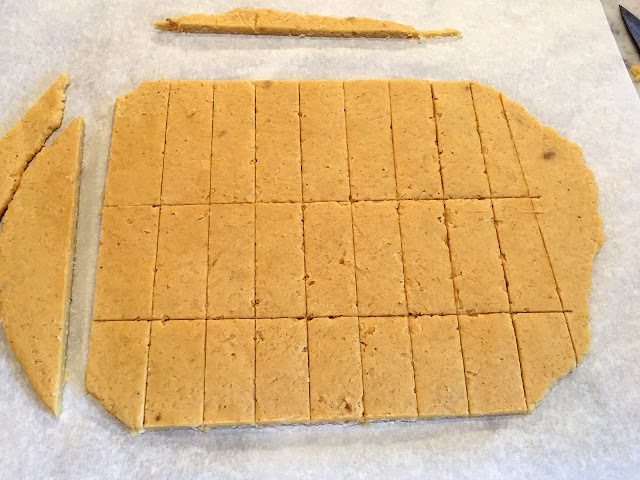 In a small bowl, combine flour, baking powder, spices and salt. Set aside. Cream butter, and cream in sugar until light and fluffy. 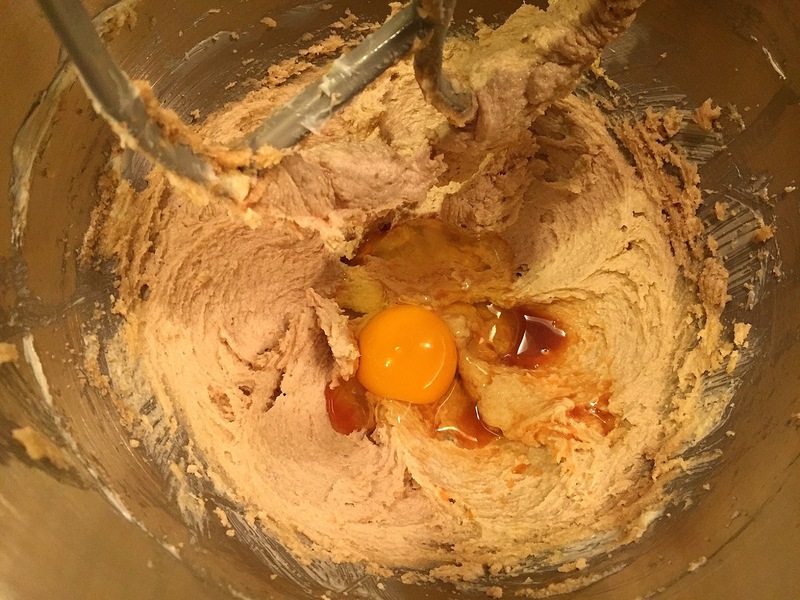 Beat in egg, vanilla and almond extract. Add flour mixture and blend until well combined. Divide mixture in half. 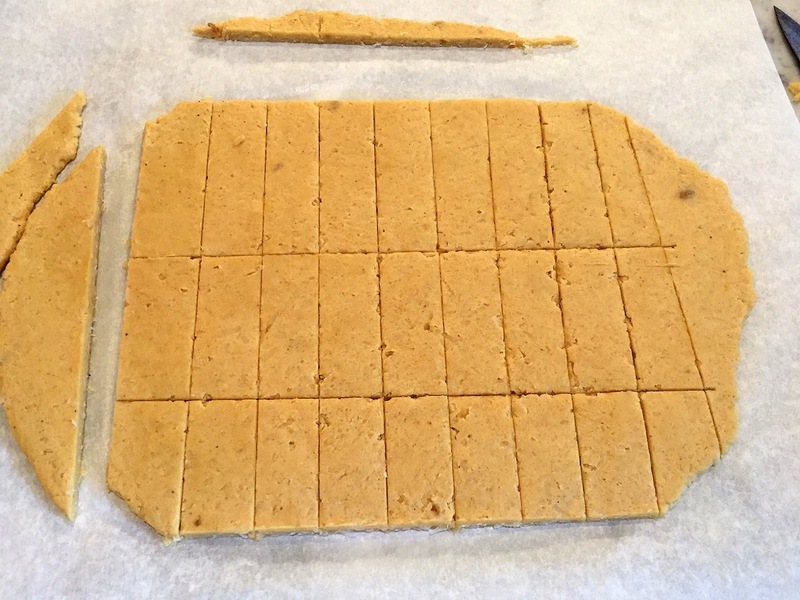 Pat (or roll) each half into a 10 x 9 rectangle between two sheets of parchment or wax paper. Cut into 1 x 3 inch rectangles. 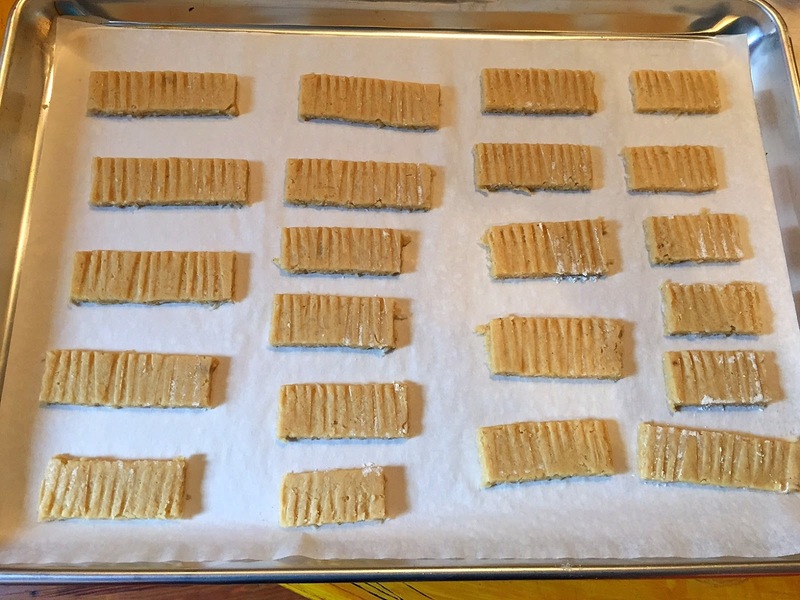 Press ridges into each with a floured fork. Bake at 350 degrees for 10 to 14 minutes. Wonderful, so glad to see your posts again. These were delicious! Crisp, buttery and caramelly under the coconut. I amplified the coconut flavor with coconut essence and sweet coconut milk powder along with the (unsweetened) fine flakes, and halved the recipe. 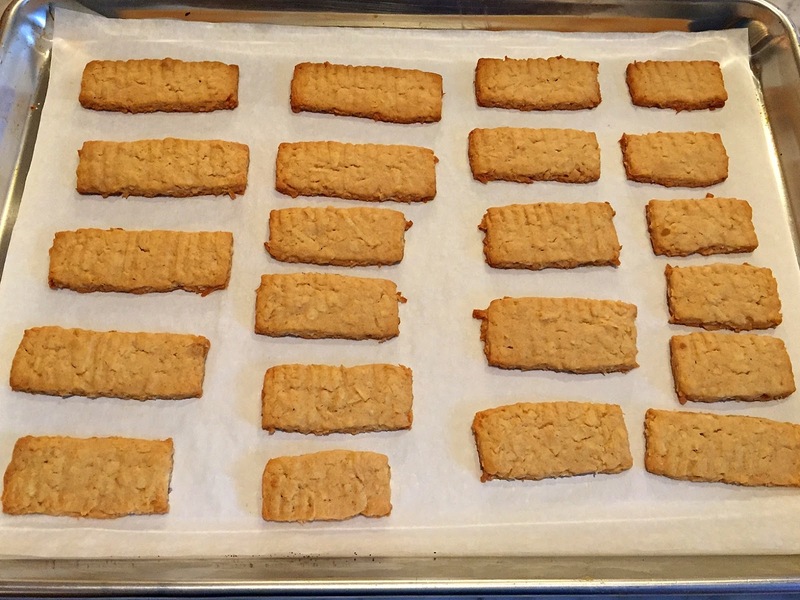 I rolled them out quite thin but it still took at least 15 minutes for the cookies to develop a tempting gold-brown color.